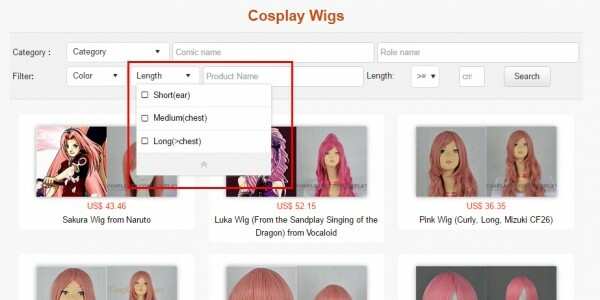 You can wigs by colors, by length, it’s easy and direct! 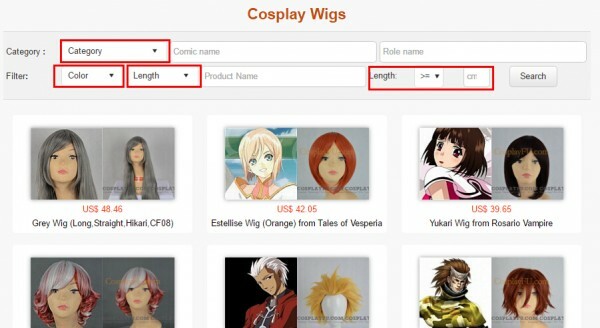 Please go to http://www.cosplayfu.com/wigs.htm and choose whether you want to choose by color, or by length. 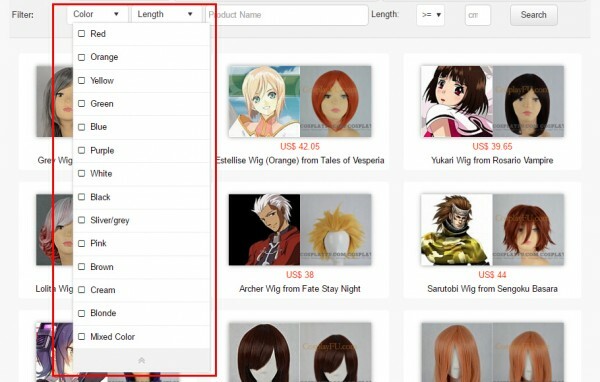 *Suppose I want to choose wigs by colors. 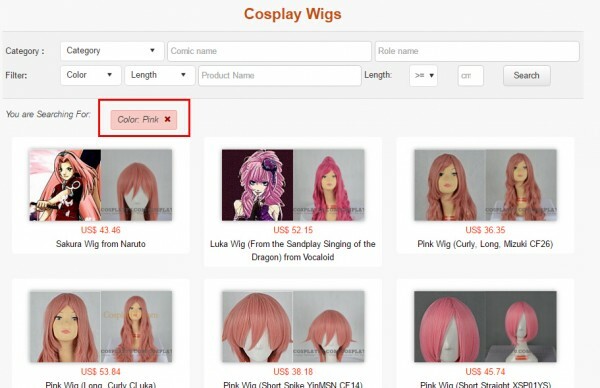 Click ‘Color’, it shows all colors there, and you can simply click the color you want and check all wigs that in all styles & lengths, under the same color. *Suppose I choose ‘Pink’ and click “Search”. 4.Same case for ‘Choose by Length’.